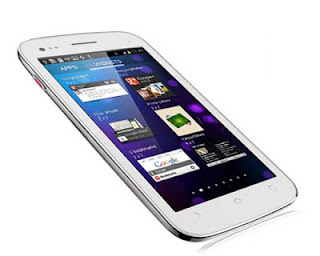 Micromax Canvas 2 A110 is an Android smartphone which runs on Android 4.0.4 Ice Cream Sandwich OS. Micromax A110 Runs on 1GHZ dual core processor and support GSM and 3G connectivity.Micromax A110 comes with a dual camera 8 MP rear autofocus camera with LED flash that supports 720p video recording and 0.3 MP front facing camera for video calls. 5 inch LCD Display with FWVGA, 854 x 480 Pixels resolution and having features like Vivid Display, AGC Sodaline Screen Protection, IPS Display, 5 Point Multi-touch, Touch Sensitive Controls, Display Colors 16 Million Colors. Micromax Canvas 2 A110 supports 3G HSPA/UMTS network, Wi-Fi, Wi-Fi hotspot, Bluetooth v3, USB 2.0, a-GPS, USB tethering, A-GPS with Google Maps and 3.5 mm audio jack. Facebook, Google Talk with video chat, 3D sweep panorama, Twitter, Google Maps, Microsoft Exchange ActiveSync. Rich Multimedia Technology, Intuitive Text Input and Spell Check, Enhanced Application, Voice Input and Organiser like Document readers,Phone book,Android platform,Google Calendar.Since it support Android their are wide rang of apps .